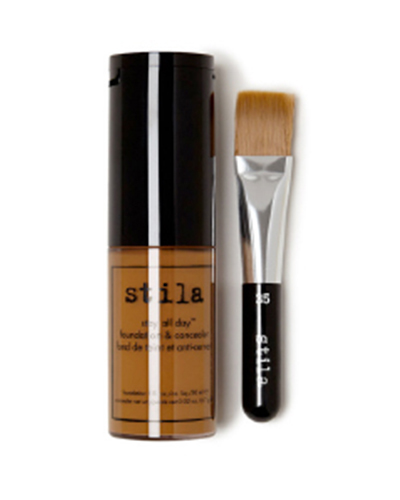 Stila Cosmetics was founded in 1994 by makeup artist Jeanine Lobel. It has a loyal following, even after being bought by Estee Lauder. Our favourite, the Stay All Day® Foundation & Concealer has a reasonable number of FleshTone shades to choose from. It dries relatively quickly and probably feels more stiff or sticky than some other foundations. Having said that, it blends and moulds to your FleshTone amazingly, and is very long wearing. It dries to a satin-style finish and is best used with a hydrating primer or even just a moisturiser. The concealer and brush are a cute addition, though it’s the foundation that’s the main reason it’s a FleshTone favourite.